A magazine featuring slain Hizbul Mujahideen commander Burhan Wani on its cover was on sale at a fair in Punjab’s Fatehgarh Sahib, following which Punjab Chief Minister Amarinder Singh said the police would look into the matter if there was any “anti-national activity,” media reports say. The magazine was being sold in a big stall manned by supporters of SAD (Amritsar), amidst other material including books, car stickers, badges on Khalistani militants including Jarnail Singh Bhindranwale at the ‘Shaheedi Jor Mela’. 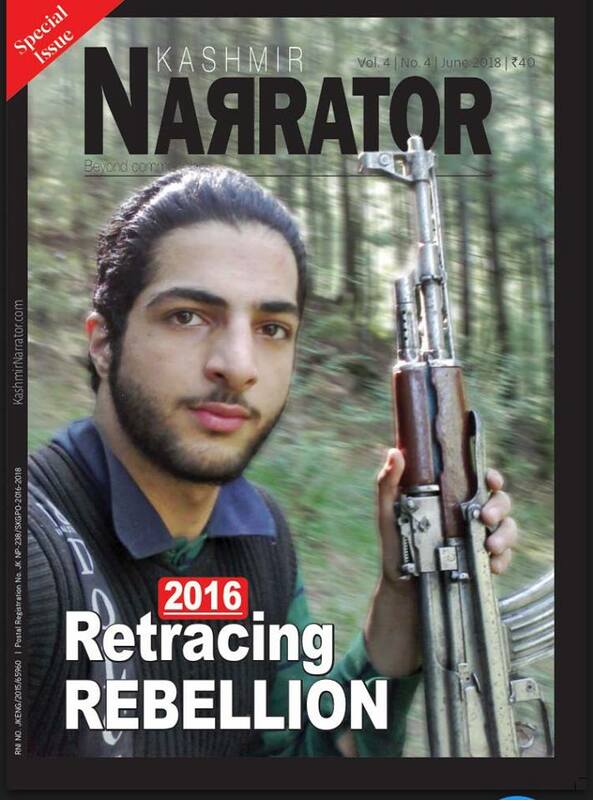 “Called ‘Vangaar’ (Challenge), the pro-Khalistan magazine ran a cover story in its August 2016 issue on Wani describing him as the ‘Hero of Freedom of Kashmir’. The issue came out a month after he was killed in an encounter with the security forces in July 2016, and was being sold 18 months later at the Jor Mela for Rs 30,” The Indian Express reported. Apart from two articles on Wani, the 42-page issue of the magazine also carries a “special” message on “azadi” from Jagtar Singh Hawara, convicted in the Beant Singh assassination cases and now lodged in Tihar jail; an article on drug use in Punjab, an article on ISIS. The two articles on Wani have been written by Gajinder Singh of Dal Khalsa, who is believed to be in Pakistan, and the pro-Khalistani writer Baljeet Singh Khalsa, according to Express. Swaranjeet Singh, a resident of Ferozepur village who had bought a copy, said there is “nothing wrong in reading about anyone who had fought for any freedom struggle”. “I had heard about Wani in news, there were riots when he was cremated, I do not know who has written about him or who is selling it, I came here and the material appealed to me and I bought a copy, I will read it,” he was quoted as saying by the newspaper. The seller who was selling the magazines and other material including books about many militants refused to disclose his name and said that he went to every religious function in the state and sold the material. “We are only selling the magazines and the books. What’s wrong in it. Even police did not say anything to us, we are not harming anyone,” he said.